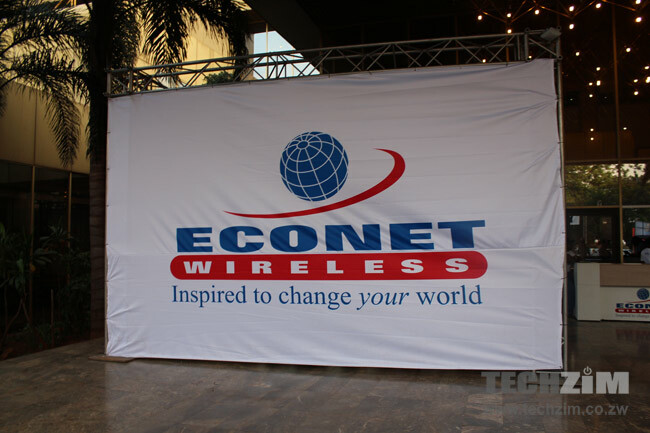 Local telecoms operator Econet Wireless wants POTRAZ the industry regulator to pay over $132 million in damages for losses suffered due to the reduction in voice tariffs. According to a report in Newsday, Econet approached the High Court seeking an order to compel POTRAZ to compensate the operator and to force the other telecoms operators to pay licence renewal fees. Econet has accused POTRAZ of creating an uneven playing field by not enforcing the payment of the $137,5 million required for a telecoms licence from the other three opertors NetOne, Telecel and TelOne. It has asked the court to issue an order restoring tariffs to the previous structure. Voice tariffs reduction became effective on 1 January 2014 after POTRAZ issued a directive to that effect towards the end of 2013. Econet has previously taken legal action, albeit unsuccessfully, to reverse this, arguing that the changes fail to consider the payment of the licence fees. This current case has been premised on the argument that Econet managed to pay its licence fees in full, while the other operators did not, yet it was subjected to the same tariff reduction. In the summons quoted by Newsday, Econet has claimed damages amounting to $132 670 807 and that it will continue to suffer similar damages until the voice tariffs are restored to the same schedule which was in effect when it paid its licence fees. Econet has also asked for an order compelling POTRAZ to disclose information on the Universal Services Fund, which is a financial pool set up by the regulator. All operators are obliged to contribute a percentage of their revenues to it and the fund is meant to be used for expanding telecoms access in remote and disadvantaged areas. In its summons Econet has said it had contributed over $59 million to the fund from March 2009 to November 2015 and as such it was entitled to a report. Although I strongly dislike Econet, this suit has merit. Govt/Regulator should treat Econet fairly on the regulatory front and introduce number portability so consumers can exercise their right to choose. Stop the thuggish, dimwitted methods of screwing Econet! Let Econet screw themselves. Mobile operators are suffering because of lack of innovation. Instant messaging tools have taken away a huge chunk of their income. These are desperate moves to try and the keep these companies buoyed but will only hurt the general public should Econet win. The regulator is not set up to guarantee the revenue of operators. Level playing field does not mean equal treatment, especially when one is clearly abusing its size. Operators are mere collectors of a levy on subscribers as Econet knows fully well. Now wait for the mischief this court case is meant to justify. The only point of merit is the argument that Government should consolidate its operations into ONE company with ONE license and not dole out free licenses to sub-optimal operations at expense of the citizen subscriber and owner of the finite spectrum resource. Econet screwed theselves after all what was the point of paying the full license fee at once. Though a chunk of it was offset from state debt. They proudly shouted we the only ones now finances have changed and ps therevenue cut in voice was a lonf time coming so even if they cut it i will just use another method after all unless data goes back to 5mb per $1 they stuck. Looks like you getting high off your own supply but 1 point you are right on other telcos should pay either payment plan or once off. And potraz should tell us how ucsf is used. Econet are ALWAYS in court. Do you even read your stuff bro? It’s very nice to see companies seek. Accountability and transparency. It’s their hard earned $. We’ll be surprised(no we won’t) to see that the most of that USF money went to Premier Auto ???. Chances are NetOne and Telecel might not have been paying those too. Econetsi is always a problem, want to retain its monopoly & enjoy super profits but its no longer the case now. Hope it will also sue OTTs that have also chewed its profits and revenues. Is also claiming to pay full its licence fees as if it paid hard cash to Gvt, those who are well informed knows that the payment is a setoff so whats the noise. Other operators have their separate arrangements of paying license fees, so why including them in this case. Inseady of strategising on how to push data and voice you choose to fight in court. also, you failing to realise that your services are too expensive yet yu still want to fight and retain the old tarriff which is unaffordable at all. Waste of time Econetsi….lets see how big is yo muscle in this country. Strive must sell his $100 Million debt and Econet should sue Strive . Econet yazviita zvakare. Zvipi.Matsotsi aya. POTRAZ being a regulator does not mean they usurp the rights a Private Entity to decide their own fate. If the company fails to make a profit, will POTRAZ show them how to make money. Will they provide loans or give them money to pay workers salaries and bonuses? Let companies be, if anyone thinks they can do a better job, why not run your own company and provide the cheaper services, won’t we all buy into that and make you rich, legitamately. Why do “we” always seek to destroy before building? The have a very solid argument but at law you cant base your argument ” we paid licence fees when other operators didn’t” , thats a childish way of looking at important issues you would have raised! Just wondered if anyone has an update on this story please?